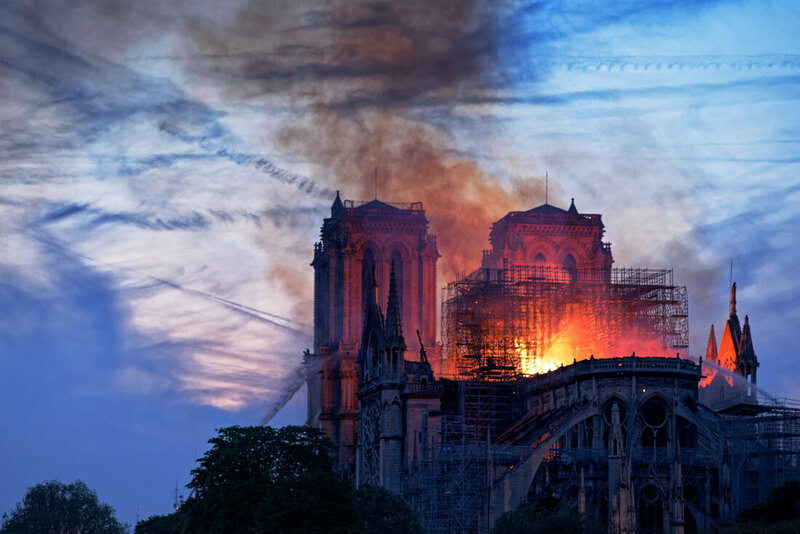 I am under something of a deadline with this blog post, but I find myself consumed with the breaking news: it is Monday, April 15 and Notre Dame cathedral in Paris is burning. I watch the footage. I check repeatedly for updates. I recognize that I am feeling sad. I am mourning. I am not Parisian nor from France. I’m not Roman Catholic. I’ve only been inside Notre Dame once. It isn’t even my favorite cathedral in Paris. Yet, what I’m feeling is more than empathy for a city and its beloved landmark. I feel this personally. Barack Obama spoke deftly to what I’m feeling when just five minutes ago, he tweeted: “Notre Dame is one of the world’s great treasures, and we’re thinking of the people of France in your time of grief. It’s in our nature to mourn when we see history lost – but it’s also in our nature to rebuild for tomorrow, as strong as we can.” Yes, Notre Dame is a great treasure, and because I live in this world, it is also my treasure too. But I recognize, as does Obama, that Notre Dame means something particular to the French people. It is their time of grief, and I want to honor that. I’m glad to be reminded that “it’s in our nature to mourn when we see history lost,” or beauty lost, or certainly if lives are host. (At the time I was writing this, there was concern that if the Great Bell were to fall, the entire tower would collapse and endanger the firefighters battling the blaze from below. Thank God, the structure remains standing and no lives were lost—but when we do lose our loved ones, “it is in our nature to mourn.”) If I have any complaint with Obama’s tweet is that it rushes too quickly to words of encouragement and rebuilding. If grief is natural, then all the time that grief might require of us is natural as well. My one visit to the inside of the Notre Dame cathedral was in 2015 during the time of COP 21, the UN climate summit which produced the Paris Agreement. I skipped out on the climate-related ecumenical service, an act of hooky which I blame on jet-lag and little comfort for such events. Nonetheless I enjoyed the climate-related art installations tucked away in its alcoves and the special tapestries draped down its center aisle. Don’t worry: I don’t intend to draw any garish analogies here about how the planet is burning in like manner as the cathedral. Instead I want to talk about one unavoidable emotion of creation care.